First Time at The Fountain? No matter where you are in your life, you belong here. 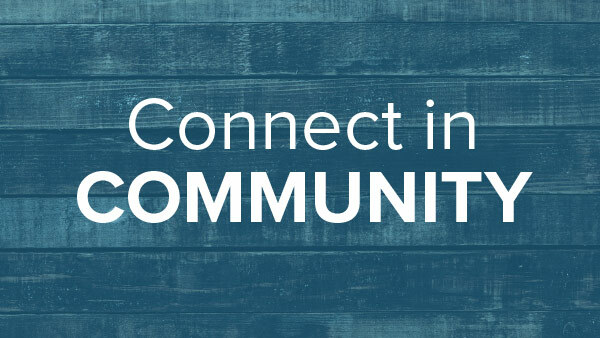 At The Fountain Church, you will be welcomed into a friendly, casual environment by a community of people who are excited to see you. We want to help answer some of your questions before you arrive. Then all you have to do is come and check it out for yourself! The worship experience at The Fountain typically lasts around 60-65 minutes. 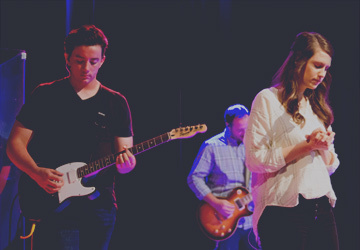 Our talented worship band is passionate about helping you connect with God. You will experience engaging and energetic modern worship music. 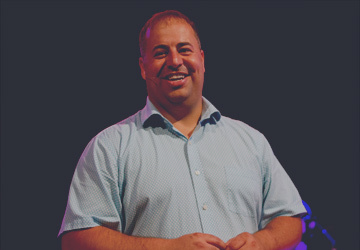 You will also hear a message from our pastor that is Biblical, relevant, and helpful to your life. Worship services are held at Johns Creek Elementary School, 6205 Old Atlanta Road, Suwanee 30024. The atmosphere of The Fountain is casual and relaxed, so you can come just as you are. Most people wear jeans. You will see a variety of dress though from shorts and jeans, to a more dressy casual. It is the kind of place where you will be welcomed no matter what you wear. We promise. Your kids will love it! 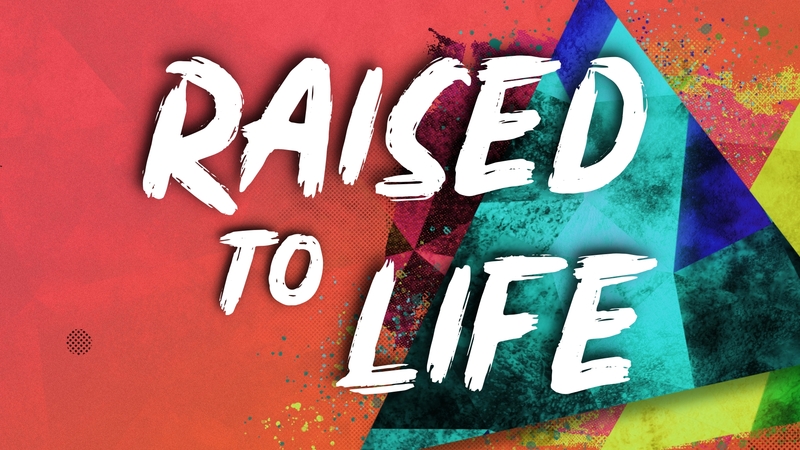 We offer complete programming for children 6 weeks old to 5th grades during worship. We want your kids to have a fun and safe experience. 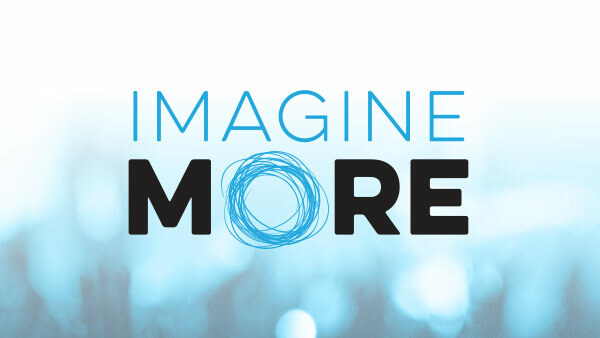 Kids sing worship songs, experience Bible messages in a relatable way, and connect with small group leaders who really care about them. When you arrive, simply take your kids to our Kids’ Check-in area where they can get registered and we will lead them to the right area. All worship services use a secure “check in” name tag system for parent/child security. Check out our Fountain Kids page to learn more about each kids’ environment. Our Sunday worship experiences are designed to connect with teenagers. We offer Fountain Student Nights on Sundays and other discipleship opportunities. Check out our Fountain Student Ministry page for more information. Why do you meet in a school at Johns Creek Elementary? Since we officially began in March 2012, we have been blessed to call Johns Creek Elementary our home for worship. We are blessed to have a great relationship with Forsyth County Schools and especially with Johns Creek Elementary, where we strive to serve and partner with them. On Sundays, we transform the school facility into an environment conducive for worship, including a worship center and separate areas for our Kids’ Ministries. We plan to have a permanent facility in the future, but being portable is a great way for a new church to stay focused on the main thing of ministering to people. Another great benefit of being in a school is it is a very recognizable, familiar, and comfortable place for people in our community. Did The Fountain start out of an existing church or from a partnership with another church? The Fountain is a United Methodist Church and part of the North Georgia Conference. The Fountain is part of the strategic overall plan of the North Georgia Conference to plant new churches all over Georgia to reach new people with the love of Christ. The Fountain Church is deeply connected, but did not start from any existing church. It was founded out of a “Parachute Drop” model, where Pastor Andy and Mandy Lett moved into the area like missionaries to start this church completely from scratch. 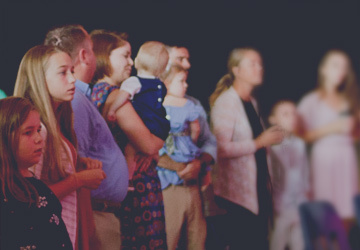 God had given the Lett’s and the North Georgia Conference the vision to reach many new people within driving distance of south Forsyth County. The result of The Fountain is a testimony of deep prayer, sacrificial love, lots of hard work, years of planning, and of God making connections to make God’s vision a reality.